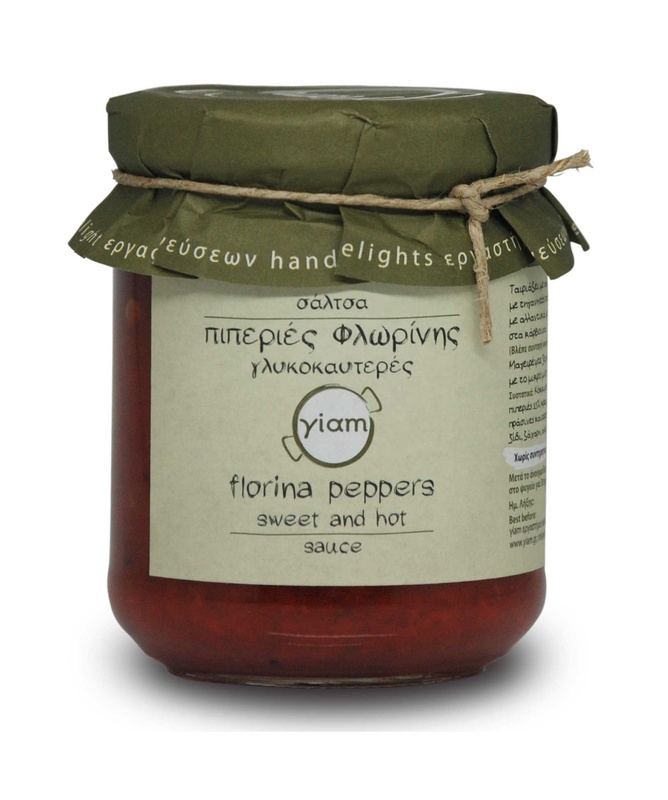 A sauce of sweet and spicy hot red Florina peppers, you can add to any of your sauces to make it hotter and sweeter. A twist for many of your favorite recipes, like a sweet chili sauce. 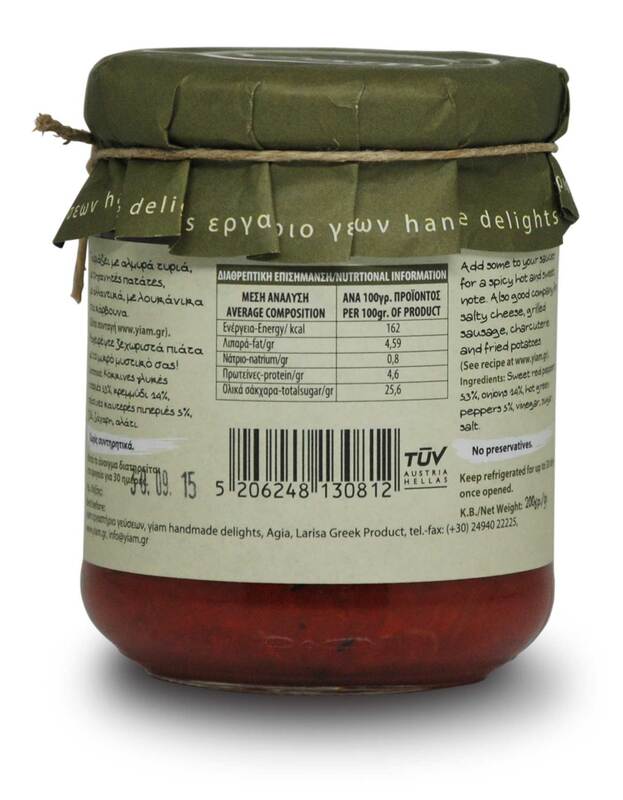 Use it to dress sausages, potatoes, feta cheese and any vegetables cooked with olive oil. Use it as a barbeque sauce for grilled meats or grilled sea food such as prawn, crayfish or kalamari. yiam “Florina peppers” sweet and hot can also accompany sausage, grilled feta cheese, greek bean soup, cheese flan, a cheese/charcuterie platter, etc.